Aqua skirt, black and white polka dot top, navy sweater coat. 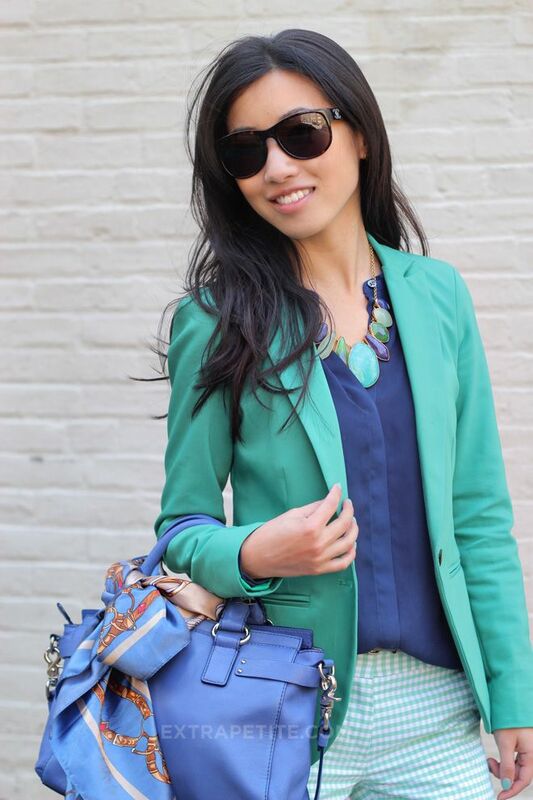 Mint Blazer Jacket ♥ Love the Color! 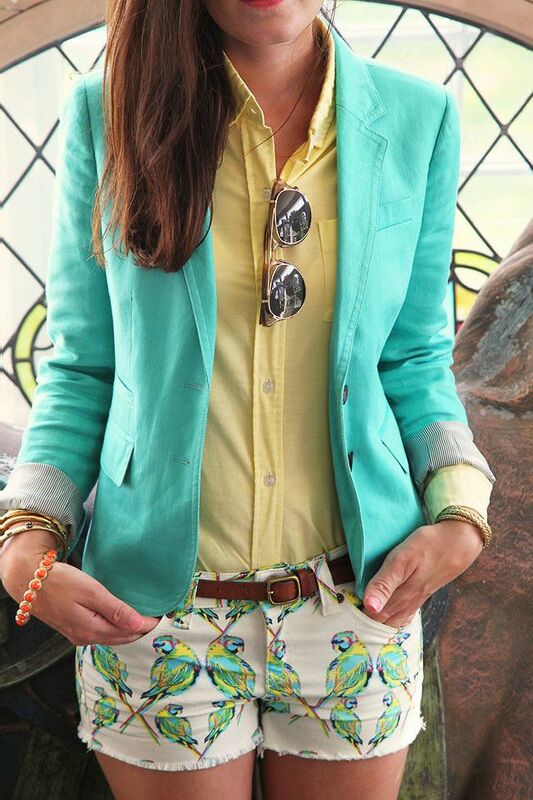 aqua blazer over yellow button up & white patterned shorts.